Hello Tokyo. It’s Been Ten Years. For one reason or another, I have found myself in Japan at regular intervals throughout my life. The first couple of times it was because of my father’s job. Then I moved to Tokyo by myself to work. Later on, my husband was posted there, and we welcomed our son into the world in the port city of Yokohama. All this has led me to think of that country as a sort of second home, and my regularly timed returns have allowed me to experience it as a series of snapshots at different points in time. This summer we returned for a trip down memory lane after a hiatus of ten years. My, my, things do change, even in Japan. I consider myself fortunate to have lived in a truly cosmopolitan city during my formative years. My memories of the city are tinged most vividly with the giddiness of new adulthood: first job, first business trip, catching the last train home, and so on. Tokyo was sophisticated and massively entertaining: on top of the local attractions, all the best that the world had to offer found its way into the city. In stationery as with everything else, it wasn’t necessary to become an “enthusiast,” tracking down brands and products; everything could be had easily in stores nearby. But it wasn’t only the material comforts that left a lasting impression. What I didn’t realize back then was that it was also a good place to learn how to live with grace and courtesy under extremely congested living conditions. Tokyoites still dress with care, queue religiously, refrain from talking on cell phones in commuter trains, and have an enviable knack for reading the flow of pedestrians on a crowded sidewalk. And they apologize all the time. This time, however, we found ourselves in a substantially changed landscape. In particular, the area around Tokyo Station, Yurakucho and Marunouchi were unrecognizable. It seems as though Tokyo has been systematically replacing old buildings with new ones, most noticeably in the old downtown area; the shocking thing is that they build them so much taller now, earthquakes be damned. Another thing that was impossible to ignore was the sheer mass of Chinese people present in the city. Tokyo has always been home to a much bigger foreign population (including a sizeable Korean diaspora) than other Asian cities, but this was never enough to change the way things were done. This time it was different. Most of my fellow shoppers at Tokyu Hands and Itoya were Chinese. All of the servers at the diners and restaurants we went to during our stay (including the airport) were Chinese. The stampede was such that the shops had changed their ways in order to accomodate them: there was of course Chinese-speaking staff available, and it was much easier to get the sales tax refunded now at big stores, some of which were even equipped with passport readers to scan information directly into the machines. (Ito-ya still processes the refunds by hand at designated floors.) It is a welcome change, but I wonder what the long-term effect will be; at least I hope all this will help keep stationery manufacturers afloat. Speaking of stationery: every family trip contains the seeds of conflict for the likes of us, because there is never enough time to visit all the shops you want, while you are also obliged to participate in more “normal” family activities like visiting the zoo. So I planned this trip carefully. First, I picked a hotel bang next to Tokyu Hands in Shinjuku. Shinjuku is a good place to stay in because it has many bookstores, stationers and department stores within walking distance that are open till 9pm or even later; the Narita Express stops here too so transportation to and from the airport is reduced to a minimum. (Time is money and never more so than during a short-term stay in Tokyo!) This way you can make use of any scrap time you have left for stationery shopping. So when my husband was winding down after a long day with a can of Yebisu and sumo on television, I would sprint across the train tracks to Tokyu Hands and stay there till they closed. The second important thing is to cull your wishlist ruthlessly and priortize. 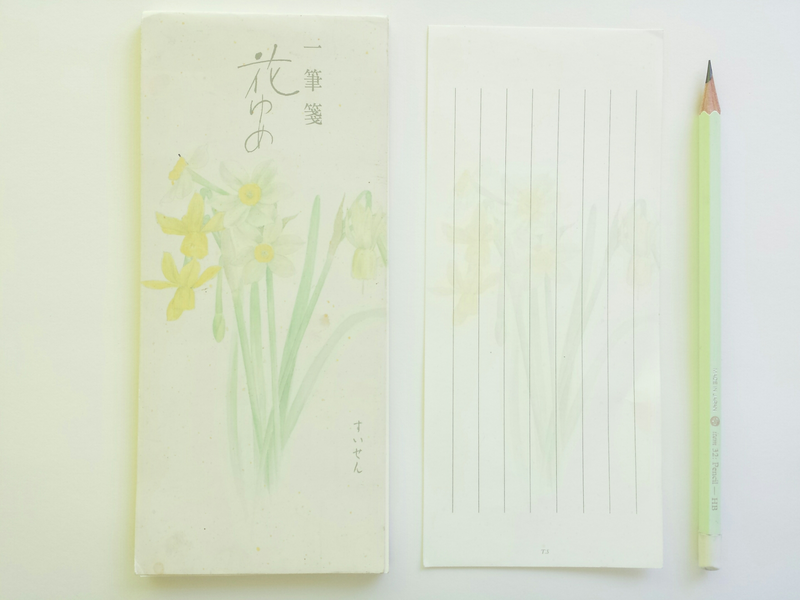 I only got to visit three stationery-related shops during our four-day stay: Tokyu Hands, Ito-ya and Maruzen. Of course there were scores more I wanted to visit. Sekaido. Loft. Bung Box. Kakimori. Kingdom Note. Shosaikan. And a couple of other shops I saw on Instagram. But it was not to be. But for those I did visit – and this is the third point – I managed to secure a whole afternoon for myself. So my advice is to calculate just how much off-time you will be allowed without becoming a total pariah, arrange something else for the rest of the family, and try to make the most of it :) I’ll be posting pictures of some things I got from this trip in the days to come. Greetings, everyone! I have been away all July and have just come back to Montevideo. The summer was hot, humid, and inspiring; we visited family, we visited lots of hospitals and got all fixed up, and we made a long-overdue nostalgic trip to Tokyo. 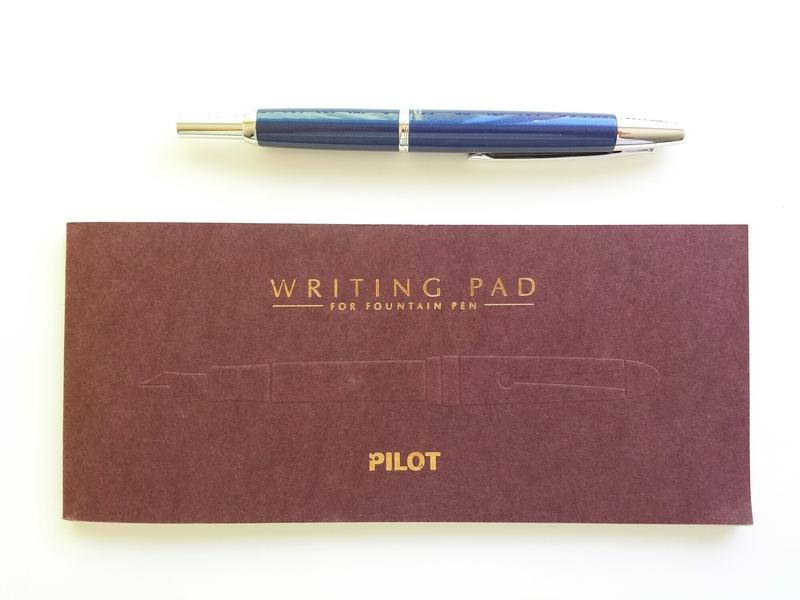 But before recounting my stationery adventures I must start with what I came across on the long long flight home. This incredible shot is from the Australian film Red Dog: True Blue (2016). A twelve-year-old boy is sent to live with his grandfather, near Pilbara (scorched red earth, bush and seemingly not much else), after his father dies and his mother is committed to an institution, where he befriends a very special dog. I know, it’s the usual heartwarming doggie story, and nothing about it suggested it would reach sublime heights moments later with a shot of a vintage Staedtler tin and a Möbius+Ruppert pencil sharpener. This assortment of stationery is what Mick needs in order to do his “correspondence sets” via radio instead of attending a normal school. I think the movie is set in the late 60’s, judging from various clues such as women’s dress, one character’s involvement in Vietnam and the fact that the “Summer of Love” in San Francisco is supposed to have “just happened.” In that case we may conclude that the pencil case is a hand-me-down from his grandpa, since that particular Mars head was used until the 50’s; the sharpener is more of a stretch because Gunther (@Lexikaliker) informs me that this particular model, the 602, was introduced around 1970. But never mind the dates – it’s simply a beautiful shot. Kudos to the good work from Down Under! Have you ever seen a Castell 9000 not made in Germany? Until now I’d only encountered the German variant of the venerable green pencil made by Faber-Castell (an Indonesian version exists), but it seems there is also a South American version. The Castell 9000 made in Brazil sports the name “Regent” next to the barcode and serial number. Interestingly, “Regent” is a name associated with another green but non-Castell-9000 pencil from Brazil. I wonder if the name was folded into the more prestigious model at some point, or if the Regent 1250 still exists as a separate model. Top to bottom: the Regent 1250, the Brazilian Castell 9000, and the regular German Castell 9000. The Regent 1250 is printed on one side only, the Brazilian 9000 on two, and the German one on three sides, like this. The lead is quite smooth, the HB characteristically light, but I haven’t used these long enough to be able to comment on their performance. I’d love to hear from people who are familiar with this version! And then here is its successor, the Dynagraph. Thanks to Gunther’s post I now know that the lesser numbers on both the Duralar and the Dynagraph denote the softer grades. 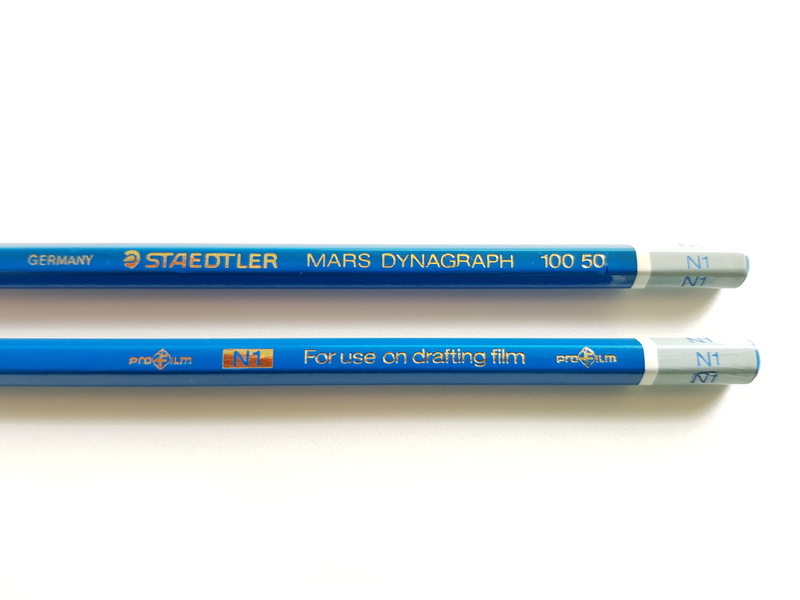 In the Dynagraph there is an interesting logo saying “PROFILM”, which I thought was an industry designation of some sort at first but turns out to have been a trademark filed by Staedtler for its own pencils. 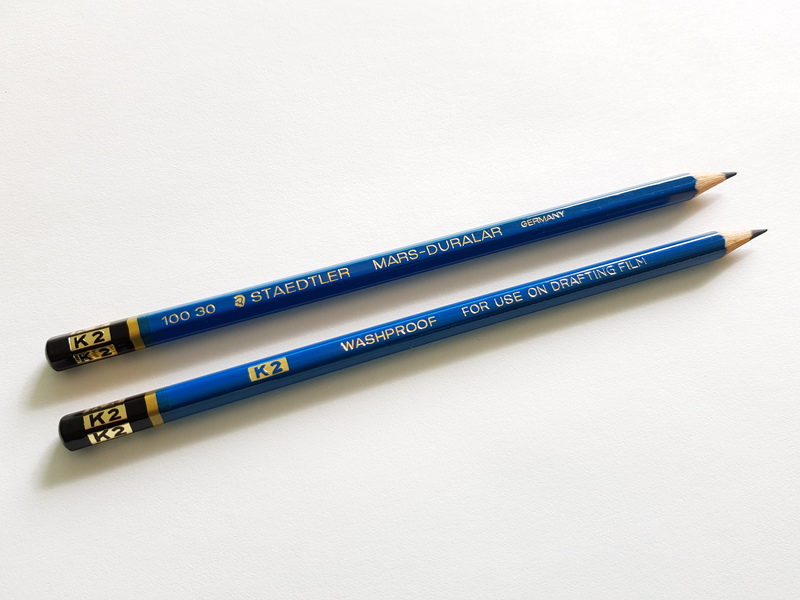 For a more in-depth look at how the Dynagraph performs, please refer to this classic article at Pencil Talk. 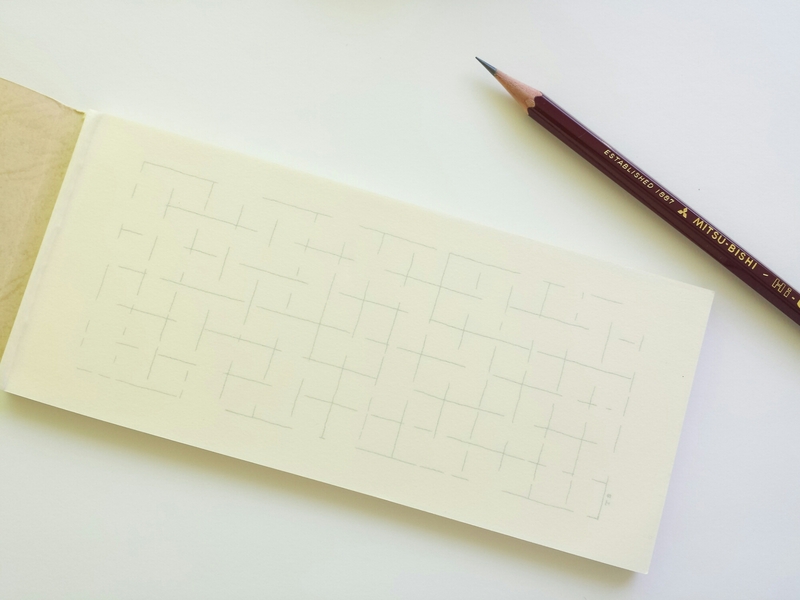 One of the most commonly employed search terms that lead readers to this blog concern stenographic pencils and their use. 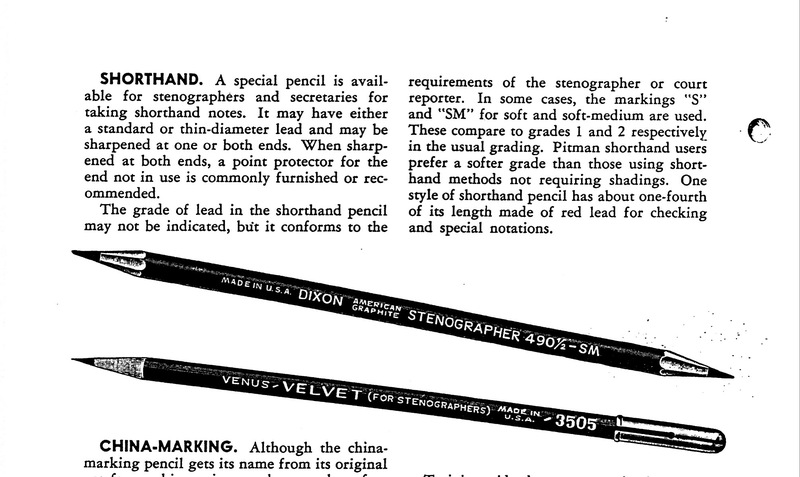 I’ve noticed that people who take the plunge into pencils almost always go through this stage: steno pencils are cool, unusual, rare but still available, just about (the Staedtler Stenofix is gone but Faber-Castell still makes the 9008). My own interest in them has waxed and waned, but all throughout, I had the niggling sense that I hadn’t really understood them: why certain specimens were hard and some soft (how were they supposed to be, hard or soft? 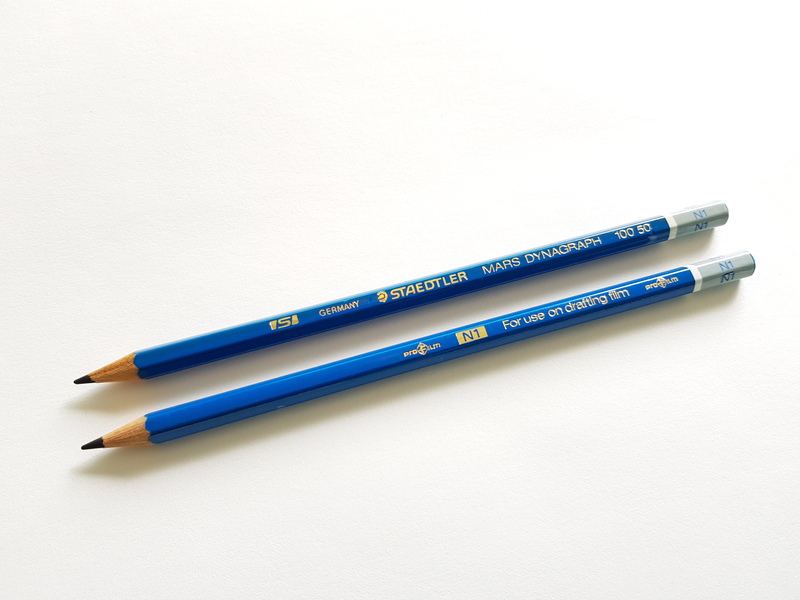 ), why they were offered in the limited but confusing range from HB to 2B, and whether round pencils really were better for the job. The answers were outlined to me early on, back when I first talked about stenos, but it wasn’t until recently that the penny really, finally dropped. In an Eberhard Faber catalog from 1923, I came across the classification: firm leads for Gregg users, softer leads for Pitman. So the answer to all my questions was in fact really simple: it depended on what system you used. It’s just that it took me a long time to visualize the differences between the two systems and how they would translate into different needs without actually learning shorthand myself. The fundamental difference between geometric [i.e. Pitman] shorthand and Gregg shorthand is this: Geometric shorthand is based on the circle and its segments; Gregg is based on the ellipse, or oval. As geometric shorthand is based on the circle, its characters are supposed to be drawn with geometric precision, and are struck in all directions. The characters, being struck in all directions, necessitate continual change in the position of the hand while writing. As Gregg Shorthand is based on the ellipse or oval, it is written with a uniform slope, as in longhand. Its characters are, therefore, familiar and natural to the hand, and like longhand do not require a change in the position of the hand while writing. This being the almighty Oval. The student should be careful not to hold the pen as for common writing, for this position of the hand is adapted for the formation of letters constructed upon a totally different principle from those of Phonography. The pen should be held loosely in the hand, like a pencil for drawing, with the nib turned in such a manner that the letter “b” can be struck with ease. 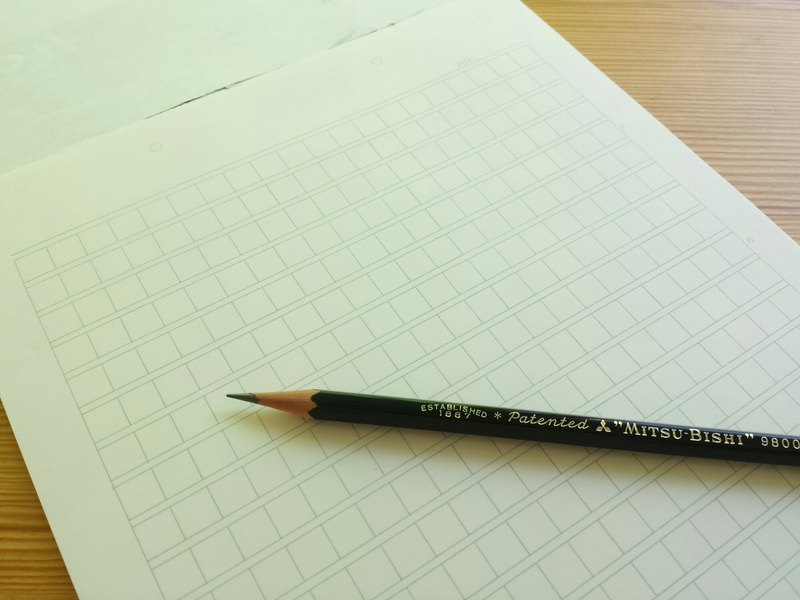 In other words, Pitman users “draw”(I would even say “sketch”) the characters. 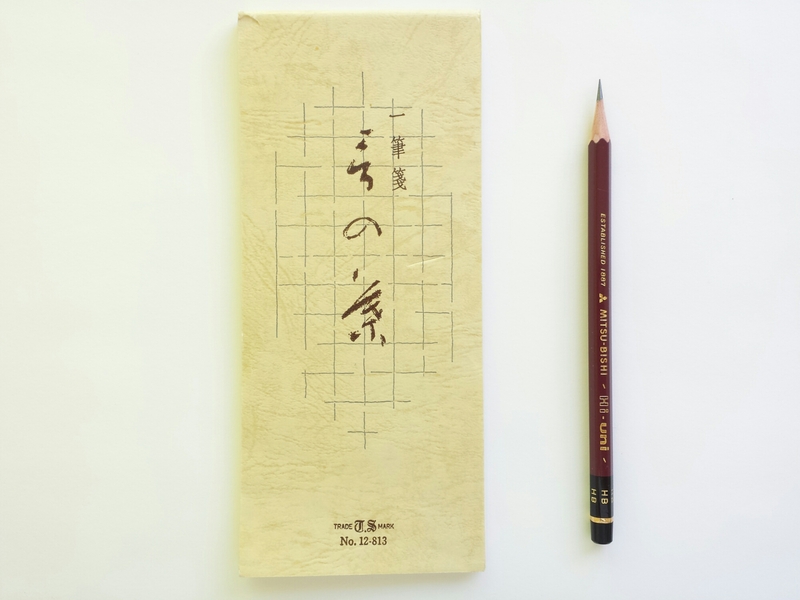 I once sat next to a former professional stenographer at a calligraphy workshop (she took notes in what I now realize was Pitman), and she told me that her teacher always made sure that the students held their pencils lightly enough so that the teacher could pull the pencils out from their grip at any time without resistance. It has been said that it is impossible for the human hand to make a perfect circle in rapid writing. On the other hand, elliptic figures are natural and easy to the hand; indeed, the making of an ellipse or oval is one of the first exercises given a child in learning ordinary writing. This opens up another interesting line of thought. 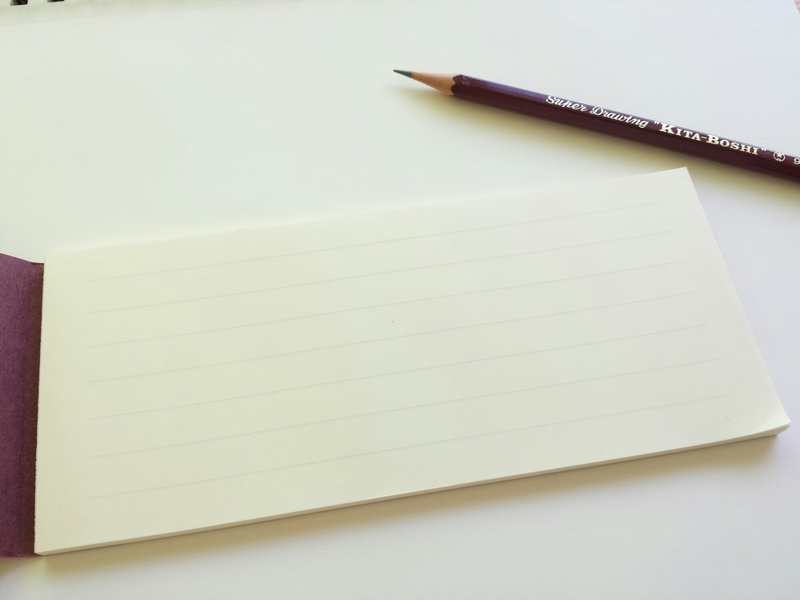 Would longhand still be considered “natural” today? Because although cursive writing has indeed evolved over the centuries in slanted and interconnected form, penmanship is a learned skill, and there has been enough disruption in the past few decades that not even Mr. Gregg would be comfortable declaring the fundamentals of cursive writing to be universally applicable now. 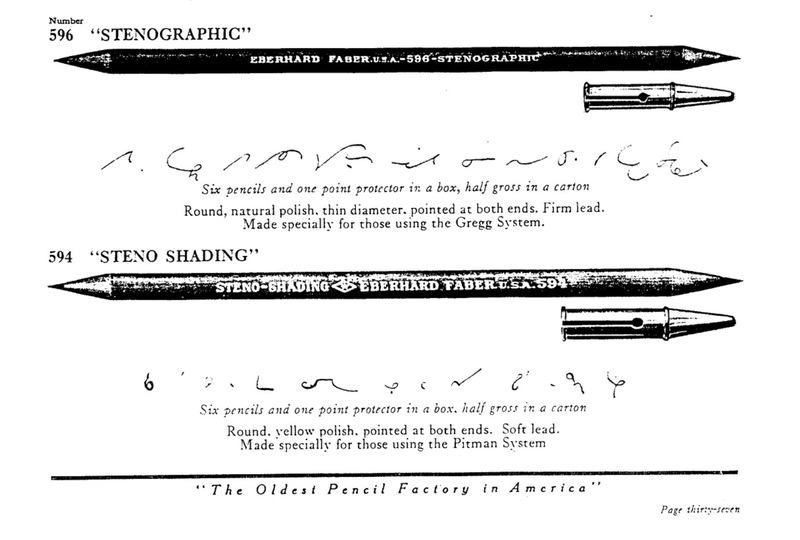 I wonder, will the loss of penmanship influence the way pencils are made in any meaningful or noticeable way?